Relish the gorgeous historical city of Mingun with its many Buddhist shrines and monasteries. 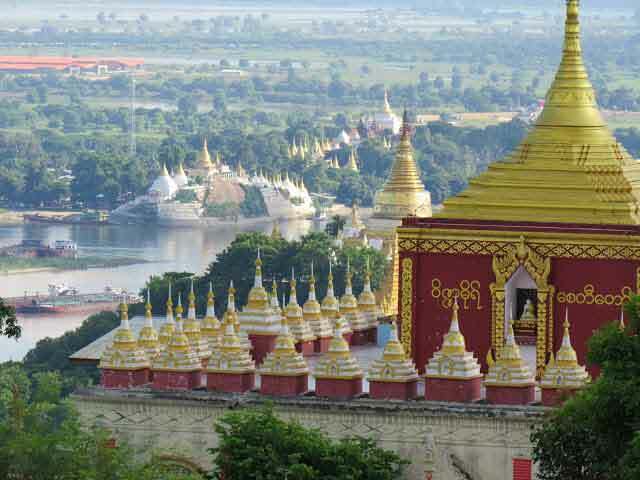 Explore the historic sites around Mandalay with Mingun Pagoda, Mingun Bell, Hsinbyume Pagoda, Mount Meru. Tour guide and car will pick you up at hotel. 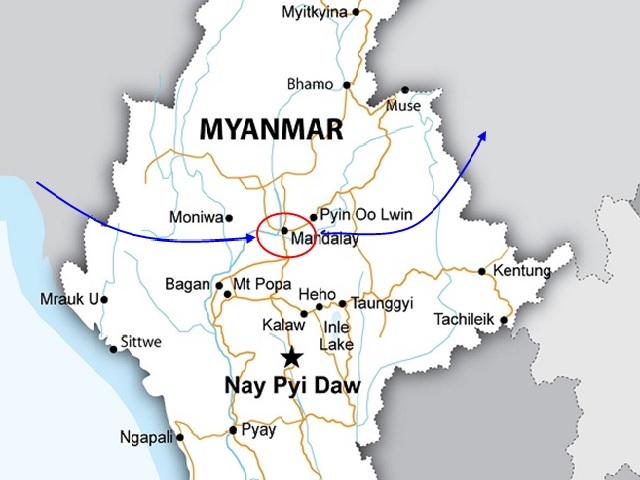 Today we'll explore the historic sites around Mandalay. Visiting to iconic attractions include Mingun's gigantic stupa stub. This morning we'll take a short river journey to visit Mingun Pagoda. Then, continue your visit to the world's largest uncracked bell called Mingun Bell. Across the road, you can visit a Buddish nursing home for family-less elderly folk which is always glad of donations. (donation is own account). 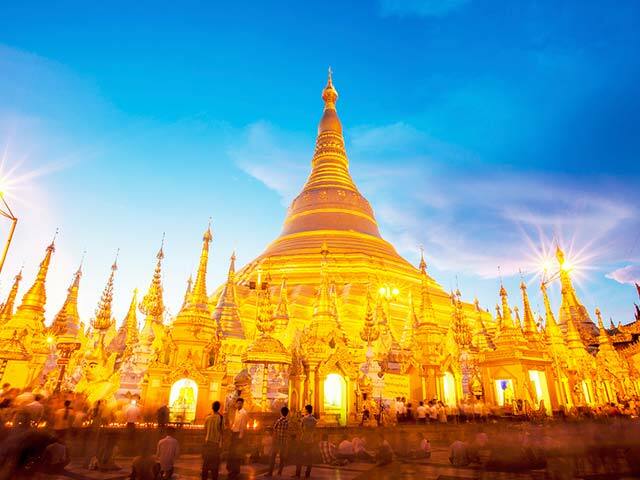 Mingun’s other highlight is the Hsinbyume Pagoda, a white-washed temple built to resemble Mount Meru. 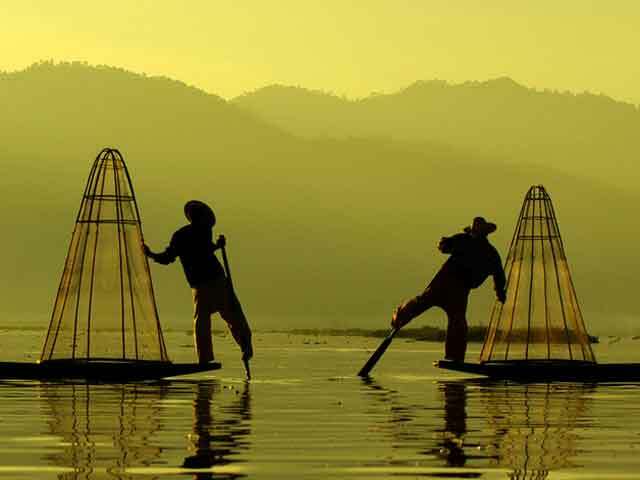 Throughout Mingun there are small neighborhoods crafting traditional basketry and other artistic items and there is plenty of time to stop and interact with the craftsmen and friendly locals. Return by boat late this afternoon, as the sun begins to set. From the jetty transfer back to your hotel. End of services.